No fine print, no hassle. If you don't love it, email us and we'll refund every penny. How to use supplements to get curvier, bigger, healthier, leaner and stronger. The 70-Page Atomic Supplement How-to Guide. 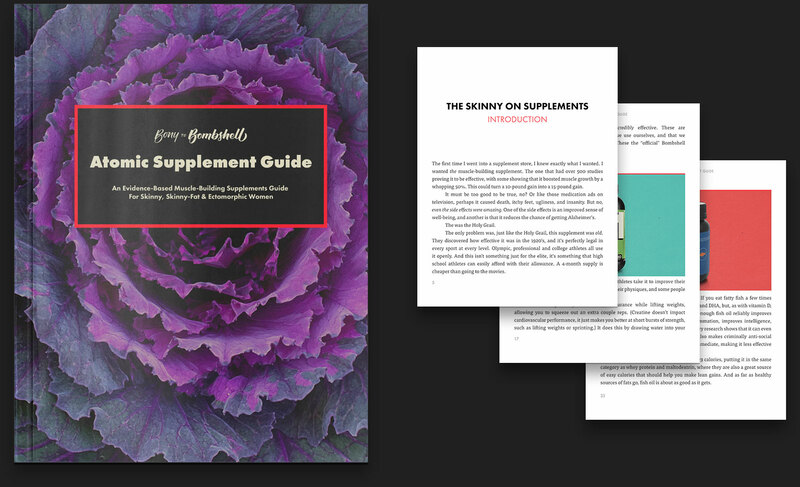 In this downloadable PDF guide, we'll teach you everything about supplements—which ones to get, how to use them, their pros and cons, and how to combine them together for even better results. Lifetime Access. You've paid for it, so go through the guide on your own schedule, as many times as you like, and keep it forever. © 2019 Bony to Bombshell.